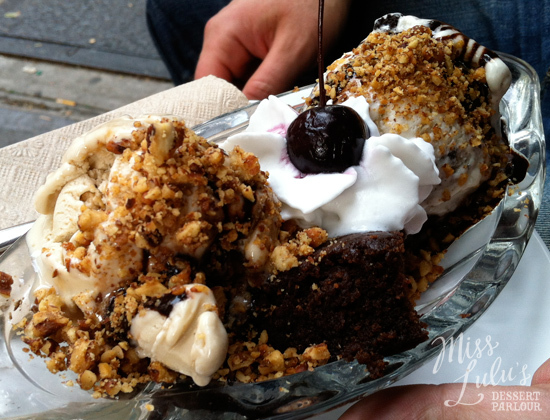 Miss Lulu's Dessert Parlour: NEW YORK - Gluten & Dairy free PARADISE!!!! New York City. Let me firstly say that you won't need to bring any provisions to survive in this city - all you have to bring is yourself. Yes - you heard me right - from my personal experience with a gluten free & dairy free sensitive tummy - I didn't once have to bring out my rice cooker to make sure I had a warm meal and not once did I have to smile through a chokingly dry cracker as a sad excuse for lunch. If anything - you will have to exercise control because your choices are abundant. But if you're there for a limited amount of time - why deprive yourself? Life is just too short. Thanks for your blog. We are visting NYC from Australia in September and my 15 year old daughter is a celiac. Great to see there are plenty of gluten free options for us to try.